So, now that you have your lead magnet, how do we get it into our reader’s hands? Opt-in, freebie, lead magnet call it what you want, but these little babies are the secret sauce behind every successful blog. Not only that, they are the tools you need to grow an email…YOUR email list…. fast. Let’s face it, most readers are very protective of their email addresses and usually will not give it up to easily. Because of that we need to offer them something so incredibly amazing that our readers will hand over a spot in their inbox….no questions asked. But why do we need to offer a killer lead magnet? A lead magnet’s job is to do more than just gain a spot inside of your reader’s inbox. It should also take that first step to building trust with your new readers by showing them you really do know what you are talking about. 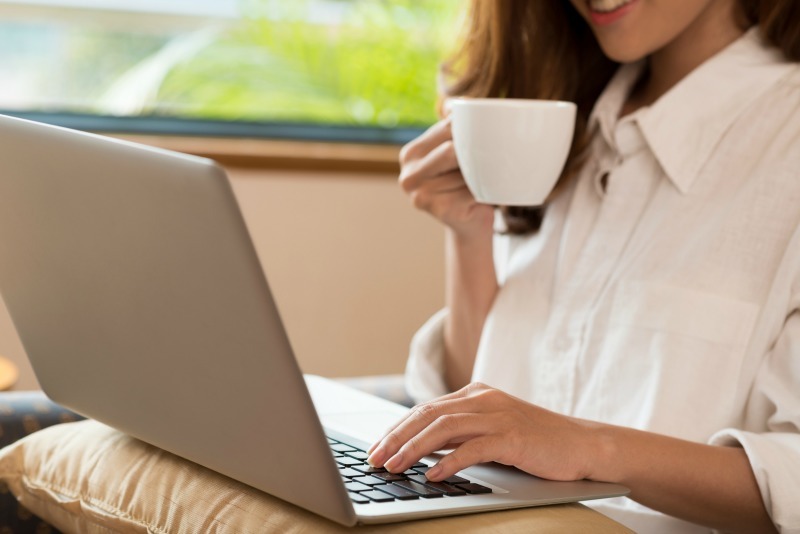 You even want to take this a step further by setting yourself up as an expert in your field (AKA niche), which is the key to becoming successful with our blogs. If you are not sure that you even have the right niche, you can read my post that will help you pick the best fit now. Yes, it’s true. Growing your email list is the key to a profitable blog. Because to be a successful blogger you need to make money. And in order to make that good money, you need an audience of dedicated fans to sell to. Sure, you also need a product, but you need the audience first. The problem is most people get so involved in all the things we need to do to get our blogs up and running that we forget to focus on the email part. And if you want to grow your email list, then you need an amazing opt-in. So, what is a lead magnet exactly? A lead magnet or opt-in are FREE gifts that we give to our readers in exchange for their email address. These gifts are usually downloads that offer additional help on the subject that a blog post is about. A planner page, very short ebook, recipe, checklist, quote, challenge, etc. The sky is the limit! These gifts are meant to help our readers. Tools that they would even pay for. And this value makes it easy for them to exchange their email address for it. Yes, but how does a lead magnet work? So, for example, let’s say you write a post on productivity, and you title it. 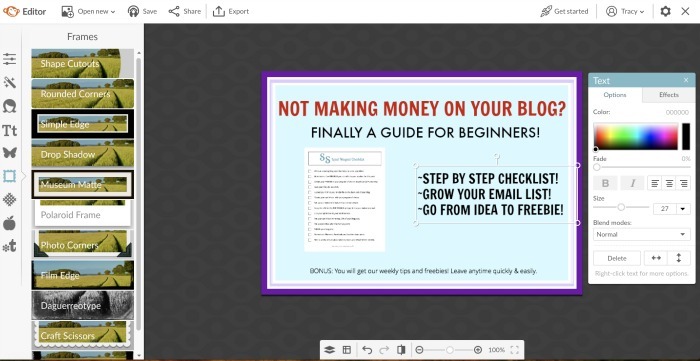 “How to get more done in less time” As your freebie, you offer a downloadable planner page that they can use to implement what your post is about. Sounds simple enough and it is. The tricky part is doing all the things that need to be done in order to get that freebie out of your head into their inbox. To help, let’s go over the specific steps needed to create and deliver an amazing opt-in. Step 1 Write up a killer blog post. Use all the tools and tips you need to cover every base in your post. Address a need or problem your reader may have. Offer a solution to that problem. Spell it out in a simple to follow way. Step 2 Decide on your FREE offer. As you are writing your post, I am sure you will think of one if not more freebies you can offer to your reader. If not, then a checklist is always a great option. People love to check things off of a list, so if your post has steps turn those steps into a checklist! Here are a few opt-in ideas to get those creative juices flowing! A checklist with the points of your blog post. A guide to help further on the topic of your post. A workbook that will help them to continue learning. Step 3 Create a FREE lead magnet. I like to use Microsoft Excel to create my freebies but you can use whatever program you are most comfortable with. Ninja tip: Try to keep your freebies as ink free as you can. Folks do not like to print out lots of ink. Yes, a blue background is pretty but from a readers viewpoint, it is $35 dollars in ink making your freebie no longer free. If you want to pretty up your printable page put a few flowers in the corner or at the top of the page. Canva, PicMonkey, Microsoft Word, or even Powerpoint are a few options to consider. Step 4 Save your FREEBIE as a PDF. In order for your reader to more easily download your opt-in, you will want to save it as a PDF. 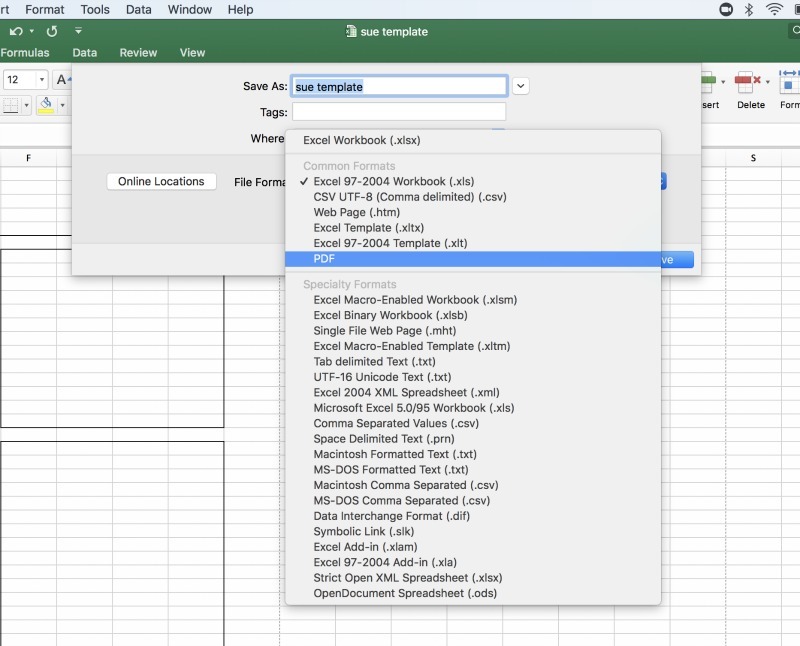 If you are using Microsoft Excel, simply use the drop-down menu to find the PDF option. If you are using another program you might want to have Adobe on hand to convert your file over to a PDF. Step 5 Save it to your blog. You will need an URL in order to make this file downloadable so saving it to the back end of your blog is the easiest way to do this. Open up your Media File. Find the file on your computer and click CHOOSE. Once downloaded click the EDIT button on the bottom right. Highlight the URL at the top right and copy it. This is the URL you will need for the download. To make it just a bit easier, watch this video for a step by step walkthrough! Step 6 Create your opt-in box. Next, you will want to set up your opt-in box, so you can put it into your blog post. You can do this by using Thrive leads, use an option that is built into your specific theme, a Hello Bar, or another program of choice. Remember to put your opt-in box in the top 25% of your blog post to ensure your readers see it. Also, make sure it stands out. Use a color that is bright and not the same as your brand colors. You want people to notice it not skim past it. Finally, choose wording that will let your readers know this offer will help them and is just too good to pass up. Step 7 Set up your email. You will want to create a welcome email specifically for your new reader. This email is your chance to introduce yourself and your blog. A few things to include. A brief introduction to you and your blog. What your reader can expect now that they are a part of your list. Ask them to follow you on your social media accounts. Have links for each of your social media and let them know why they should follow you. Give them the freebie they are there for. Also, take the time to tell them why you created it. Let your excitement show! When your reader sees just how much you love the freebie they will love it too. To give them the freebie use the “link” option. Paste in the URL you copied on the back end of your blog. Once linked, make it a bright color so they do not miss it. Don’t forget to tell your reader HOW to download the freebie. Your reader may not have any idea how to get your freebie onto their computer. Take the time to spell it out for them so they do not get frustrated and leave. 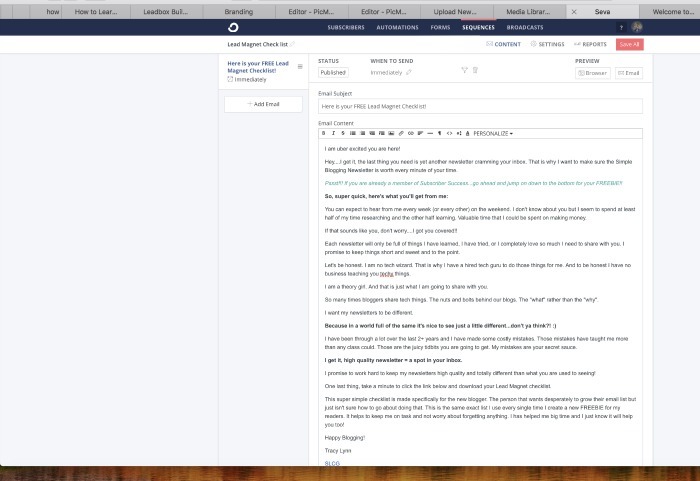 Close out your email with a promise of another email to come. Use this time to build a relationship with your new reader. Help them to feel at home and assure them they are in the right place! You can do this in any email service and the set up will always be different I’m afraid. For me, Convertkit (Now known as SEVA) is some of the best money I have ever spent. If you want to check it out for a FREE 2-week trial, just click THIS LINK to find out more. Step 8 Connect it all together. Now that you have all the pieces set up, you will want to connect them all together. Put the FREEBIE onto the back end of your blog. Create an opt-in box for that freebie. Put the opt-in box into your blog post. Connect the opt-in box to the email letter that you wrote in your email subscriber service. Copy the URL and put it into the email. Step 9 Repeat as often as you would like! These steps will work for every opt-in you create. I encourage you to make different opt-ins so you have a variety on your blog. As your reader numbers grow you will find what opt-ins work and what do not. When you find one that works (converts well) duplicate it! Then put it into more blog posts. Increase your chances of gaining subscribers fast! There is no better use of your time, in my opinion, then building yourself a list of dedicated subscribers. A group of raving fans that want to hear what you have to say and buy what you have to sell. Once you have that you will be on your way to a fully profitable blog! This is one of the most helpful posts I’ve read in regards to creating a lead magnet and setting it up in the back end of my blog. I am currently still in the development phase (I know…I just need to hit publish!! ), and have so many ideas to share with people. Thank you!! I am so glad you found it helpful, Lindsay!! Thank you for the step by step guide. It’s refreshing to not have to sign up to get the last few steps or anything. You have a nice way of explaining things -natural teacher.